Fast, Fun Facts About One of The World’s Most Popular Grapes. Merlot is the second leading red grape variety planted in California, just behind Cabernet Sauvignon. Worldwide, there are 600,000 acres of Merlot planted. 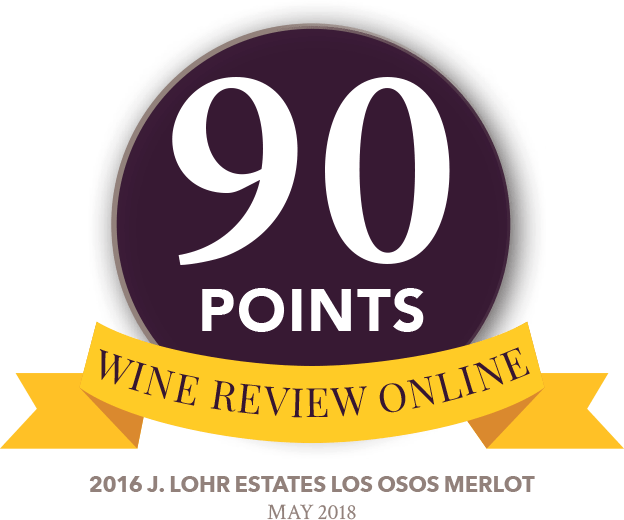 The 2014 J. Lohr Estates Los Osos Merlot was awarded 95 points and Gold / Best of Class of Region from the California State Fair Wine Competition! Merlot grapes are identified by their thin skin and fairly loose bunches of large berries. The color has less of a bluish and black hue than Cabernet Sauvignon grapes. 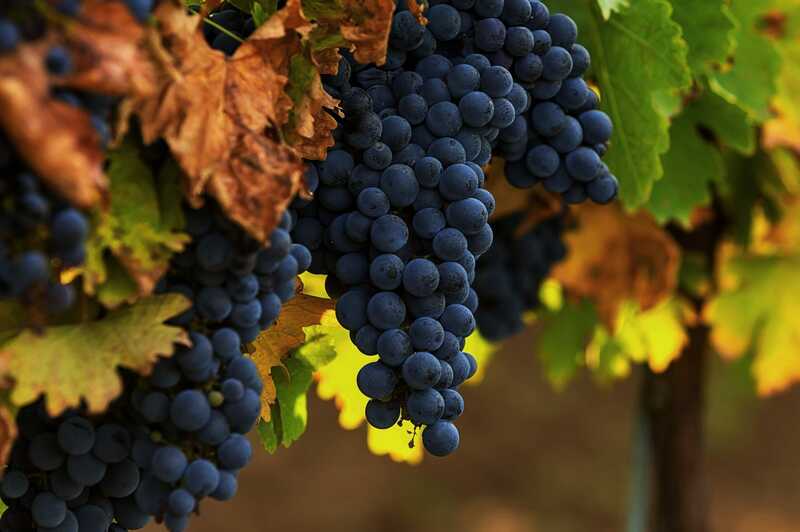 Merlot is an early ripening varietal; the grapes tend to have higher sugars than Cabernet Sauvignon and fewer tannins. Merlot is one of the primary grapes of Bordeaux. The variety is best known there on the Right Bank, in the areas of St. Emilion and Pomerol. Merlot forms the backbone of one of the most sought-after, expensive Bordeaux reds: Petrus. The name Merlot is thought to be a diminutive of “merle,” the French name for the blackbird, perhaps because the birds favored the early-ripening, sweeter berries. J. Lohr’s Creston Vineyard is largely devoted to Merlot. It is located in Templeton, seven miles southeast of J. Lohr’s Home Ranch in Paso Robles. The Creston Vineyard receives a cooling, maritime influence through the Templeton Gap and is often 4 to 5 degrees Fahrenheit cooler than the nearby Home Ranch. The first vintage of our Estates Merlot was the 1997 release. Today, the J. Lohr Estates Los Osos Merlot can be found nationwide and is one of America’s most popular red wines. Researchers at University of California, Davis have identified that Merlot is an offspring of Cabernet Franc and is a sibling of Carménère and Cabernet Sauvignon. The J. Lohr Estates Los Osos Merlot is extremely food-versatile. It is an excellent pairing for herb-roasted chicken, lamb preparations, tomato-sauced pastas, or just about anything off the grill!